The aviation industry requires professionals and management students to specifically fit the needs of Global and skilled people and therefore the need of MBA-Aviation Management as a course curriculum has evolved up. The aviation industry has tremendous amount of potential to feed the needs and requirements of current as well as future generation students in this field. 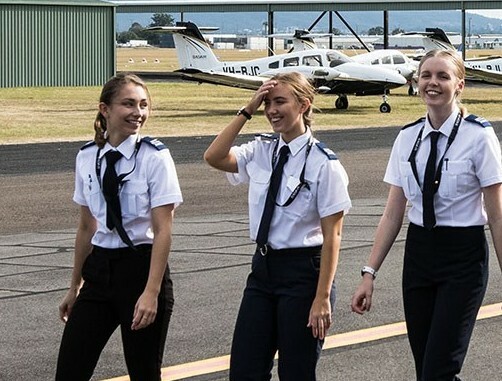 It is totally a new and fresh concept looking into its furious need in the industry as well as interest of those emerging students who want to go for Aviation in their careers. Institute Of Logistics And Aviation Management [ILAM], Delhi. University Of Petroleum And Energy Studies [UPES], Delhi. Swami Vivekananda Subharti University [SVSU], Meerut. National College Of Aviation [NCA] , Chennai. Institute of Logistics and Aviation Management [ILAM], Bangalore. Kasturi Institute Of Management Studies [KIMS], Coimbatore. How to get Admission in Aviation? Depending upon the Job profile and company standards initial salary is generally between 4-5 Lakhs Per Annum, but packages increases depending upon the performance and capabilities of the candidate. Indian Airlines, Cargo companies, Qatar Airways, Frankfinn, Kingfisher and many more brands come and offers jobs to eligible candidates. In campus placements are generally done from these colleges and offer handsome packages to the deserving candidates.